If you go to a dentist, they will give you tips on how to clean your teeth to avoid cavities. Usually for free. If you go to your mechanic, chances are they will show you how to do a quick safety check of your vehicle before driving – for free. Why can’t a Veterans Benefits Lawyer teach you some of the basic things you can do to improve your own VA Claim? For that reason, I’m going to start a new feature here on the Veterans Law Blog. Let me know if you like the concept, and how I can make it better in the comments section below. I can’t see a reason why Veterans Benefits Lawyers should not teach Veterans how to improve their own VA Claims. So, in today’s post, I’m going to answer a few questions that have come in through MailCall lately. Just remember – nothing in this post is intended to be specific legal advice. 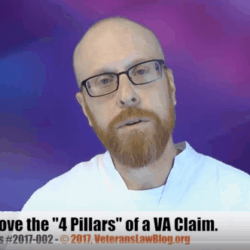 Answer: Let’s start answering this question by reminding everyone that, in nearly every VA claim, the Veteran has to prove what I call the 4 Pillars. One of those 4 Pillars is “Service Connection”: that a Veteran’s current disability is at least as likely as not related to an event, disease, illness or injury that occurred in a Veteran’s military service. What James B. is asking is how to show that an event, disease, illness or injury occurred during his military service. There are 5 Ways to prove this element – and I call them the 5 Paths to Service Connection. Which of the 5 Paths you use will depend on what type of medical condition you are seeking compensation for, and what is the cause of your current disability or illness. For example, the Veteran in our second question, below, will want to use “Secondary Service Connection” to show that his sleep apnea was caused by another service-connected condition. A Veteran who suffered a clear or distinct injury in service might want to consider using a “Direct Service Connection” approach. And a Vietnam Veteran exposed to Agent Orange will in Thailand might want to use Direct AND Presumptive Service Connection approaches. I recommend that Veterans use as many approaches as they can make applicable – never just have one “egg” in the proverbial basket. The 4 Pillars of a VA Claim – What Nearly Every Veteran needs to prove in their VA Claim. Service Connection is Like a Bridge – The 3 Elements that make up the Service Connection Pillar in Your VA Claim. I discuss all 5 approaches in detail in my Veterans Law Guidebook “5 Paths to Service Connection” (pictured to the left). You can purchase the guidebook – individually or as part of our discounted bundles – by clicking here. Veteran Henry P. asks: “I was recently diagnosed with obstructive sleep apnea earlier. I didn’t t have a sleep study done while on active duty. I filed for disability for the sleep apnea, secondary to the low back pain and the radiculopathy. My argument is that I have to sleep on my back, due to the pain, and that causes my tongue to drop into my throat and also causes a lot of muscle relaxation and that in turn causes the apnea. My question is, what are my chances of success? Is there anything else I can do or add? Answer: Henry, I can’t answer your question specifically – because we don’t give legal advice through the blog. However, I will answer very generally. 1) A recent Sleep Study diagnosing OSA. 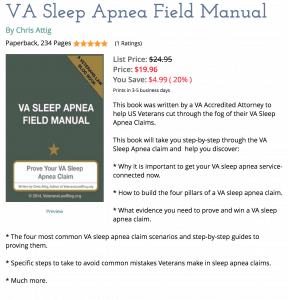 2) Lay Evidence detailing the symptoms and limitations of the sleep apnea, when they began appearing, and how the Veteran feels that they are related to the other condition that is (hopefully) already service-connected. 3) Medical Evidence that, using the Magic Words, reviews the OSA diagnosis, the Lay Evidence, and the Veteran’s C-File, and explains why the Veteran’s OSA is at least as likely as not caused by his (or her) already service connected condition. Secondary Service Connection claims almost ALWAYS require Medical Evidence to establish the connection of the 2 conditions. 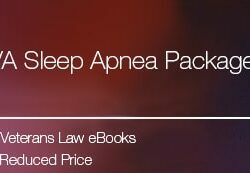 You can download the individual book – or purchase one of our discount packages of Sleep Apnea guidebooks – by clicking here. Answer: Daniel – that’s a great question. Here are 4 ways to “navigate” the Veterans Law Blog. #1: The Top of Page Banner. Use the banner that runs across the top of every page to navigate between the Veterans Law Blog, Veterans University, to read about our Client Victories, or find out about me and my Team at the Attig Law Firm. #2: Blog Category Listings. The Veterans Law Blog has over 500 FREE posts of information that is available to Veterans battling the VA. Each post is assigned to one or more “Categories”, which you see listed on the right side of the page. These “Categories” are each of the 8 Steps that a Veteran Can follow to Improve their Own VA Claim. #3: Blog Search Box. With over 600 FREE posts of information that is available to Veterans battling the VA, it can be hard to find the information you are looking for. Use the Search box in the right hand column of every Blog Post. Type in the key words you are looking for, and any post that has those key words will be returned in your search results. For more ACCURATE results, put your search term in quotes. The cool thing about this search box is that I get regular reports of the terms that y’all are searching for. I can therefore tell a little more about the type of information you need. So I use the Search reports to help me decide what to write about on the Veterans Law Blog. #4: Veterans University. On any page on this site, you will see 2 Black Buttons on the right hand column. One says “Request a Consultation” and the other says: “Improve Your VA Claim in 8 Steps”. Click on the first button if you want us to consider representing you in your VA Disability Benefits claim. I need a lawyer to help me! I was married for 26 years to Ernest Smith. He went to Viet Nam and over the years developed Cancer. Four years ago he died for cancer. Before his death he told me my name was on everything. when I contacted the VA with his name, birth, social security number, the VA acted as if they had no records. I applied for his social security and was told I might be eligible for Widows pension. Another vet that also served told my son I should be receiving a check monthly. I am confused and don’t know which way to turn. File a claim for Dependency Indemnity Compensation (DIC) and Accrued Benefits. Here are some posts on DIC to get you started. 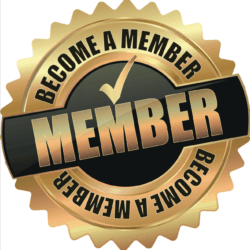 Here is a post on Accrued Benefits to help you understand that benefit.